The LG Design the Future Competition has come to an end, so now we know the winners of the challenge meant to find the future of LG mobile phones. LG partnered with crowdSPRING in this initiative and received no less than 400 design submissions. The winner is the AL-i concept, created by Zack Filbert, Chris Carpenter, James Connors, and Kees Luyendijk. Unfortunately we can’t show you the design, but we can show you the second placed handset, LG Premium. Back to the winner, AL-i is the work of second year industrial design students from the same design class in Virginia Tech. 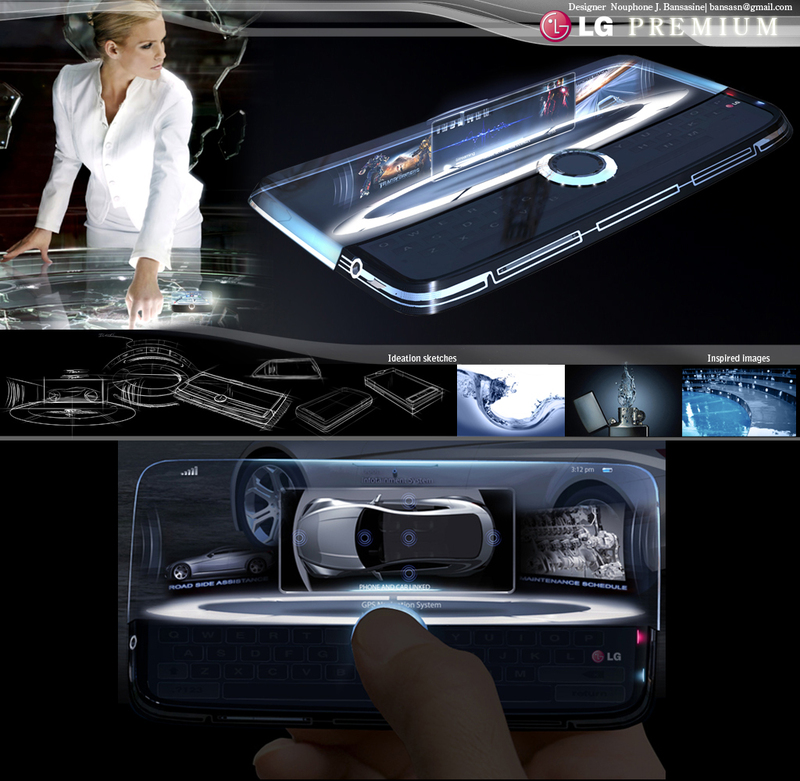 LG AL-i is a smartphone concept based on one-handed use. The students will receive $20,000 for their effort, plus Autodesk Alias Sketch software. As far as Premium is concerned, this is a mobile phone with 3D interface that connects the phone and car together. It’ll allow the user to adjust in-car climate, control infotainment features, select seat memory and check tire pressure. The concept is the work of Nouphone Bansasine, a professional car designer.